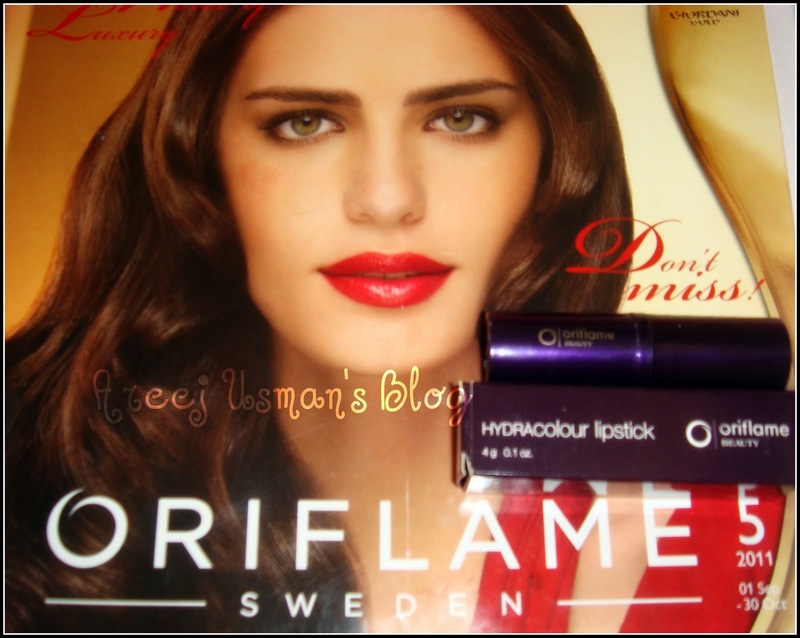 Today I am presenting a review on a lipstick by Oriflame.Oriflame has a vast range of lipsticks.The one I am reviewing today is from the range HYDRACOLOR lipsticks.If you want to check my review on other Oriflame range click here for Oriflame Powershine & Oriflame Colorattraction Lipstick. Moisturizing, sheer lipstick with incredible shine. Prevents skin damage and conditions. Shades available: In all 8 shades- PeachTempest, Copper Stream, Coral Storm, Berry Mist, Pink Cloudburst, Crimson Torrent, Summer Haze and Bronze Rain. All are sheer shades with medium coverage. Ingredients: Hydrogenated polyisobutene, Hydrogenated polydecene, Aqua, Polyethylene, Polybutene, Butylene glycol, Mica, Cetyl PEG/PPG-10/1, Dimethicone, Polyglyceryl-3 diisostearate, Synthetic wax, Ethylene/Propylene/Styrene copolymer, Butylene/Ethylene/Styrene copolymer, Ascorbyl Tetraisopalmitate, Magnesium Sulfate, Methylparaben, Silica, Hydroxyethylcellulose, BHT, Isopropyl Titanium triisostearate, +/-: CI 15850 (0.222 %), CI 77019 (1.860%), CI 77491 (0.4945), CI 77492 (0.256%), CI 77499 (0.092%), CI 77891 (10260%). 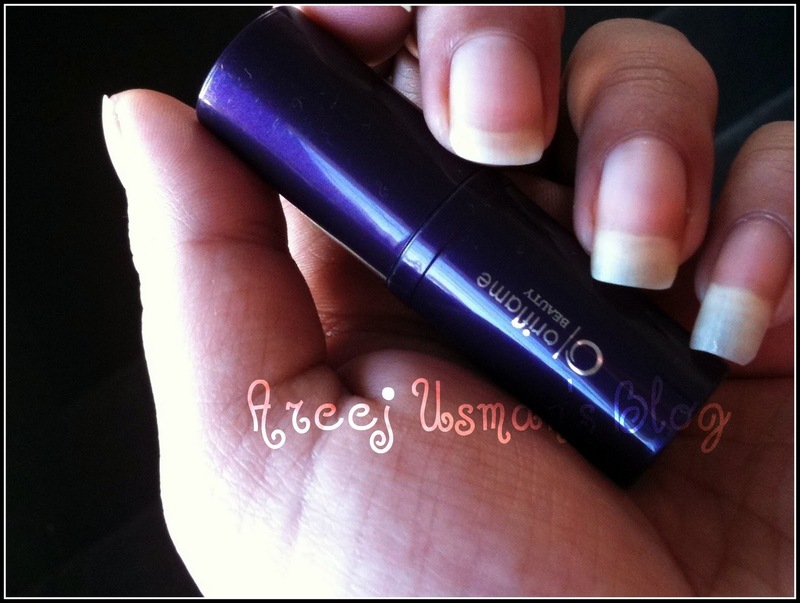 I love the packaging of the lipstick.Its very elegant and compact.This lipstick comes in a blue container. 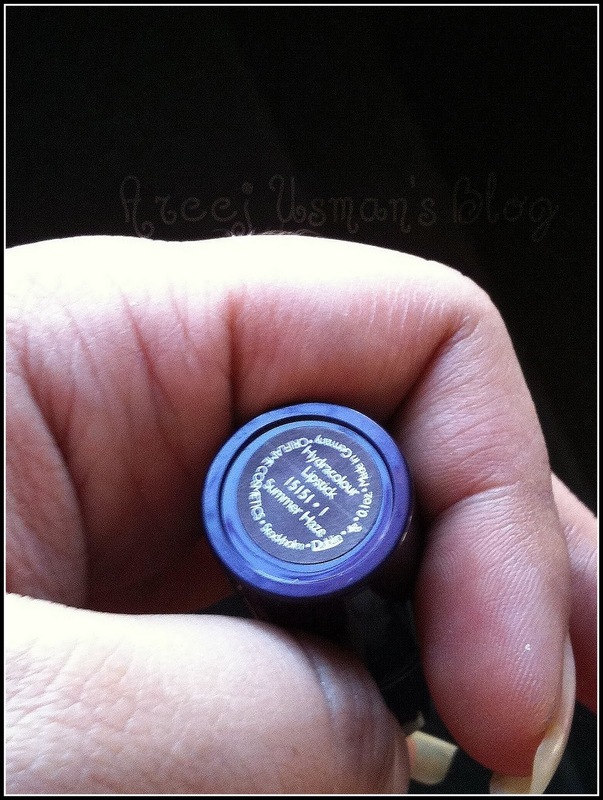 The shade of the color is mentioned at the bottom of the lipstick. 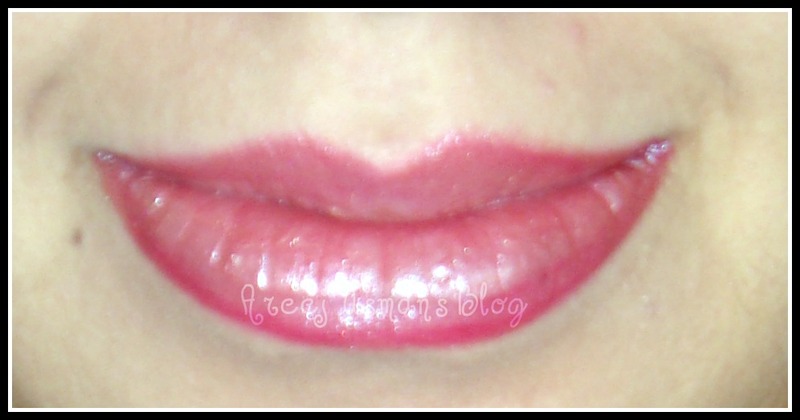 Ok so lets get to know what was my experience with this lipstick.First I am going to show you the swatch on my lips. As the named HYDRACOLOR hints Oriflame has created this lipstick where one of the main ingrediants is water.Due to this the lipstick gives your moisturization & softness the whole time its there on your lips.This is a beautiful dull pink shade with sheen,thats why it appears that I have ended up coating it with a layer of gloss.This is a sheer lipstick that means that it doesn’t give full but medium coverage.I would love to wear this for my daily routine pairing it up with a nice lip pencil.It has a staying power for about 3-4 hours.You will have to touch up after that.You can say its more like a tinted lip balm with a bit more pigment. 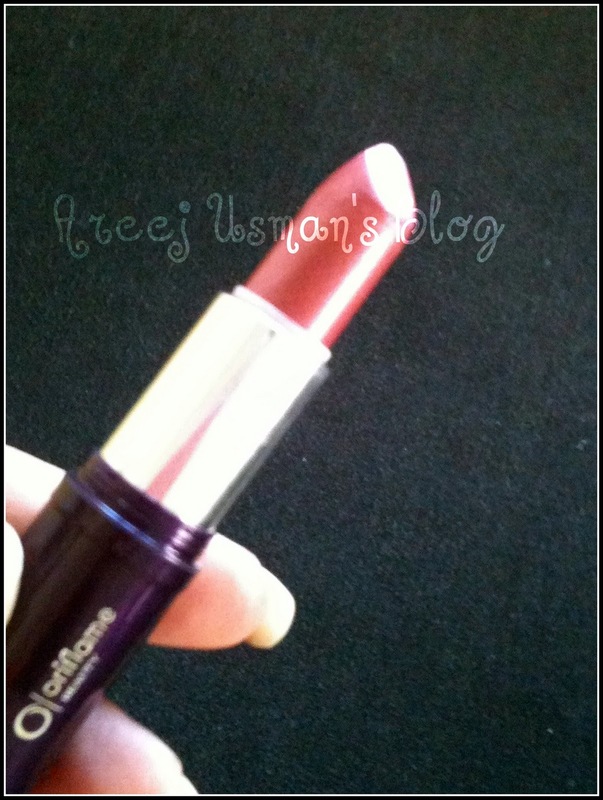 The price for this lipstick is Rs.790. 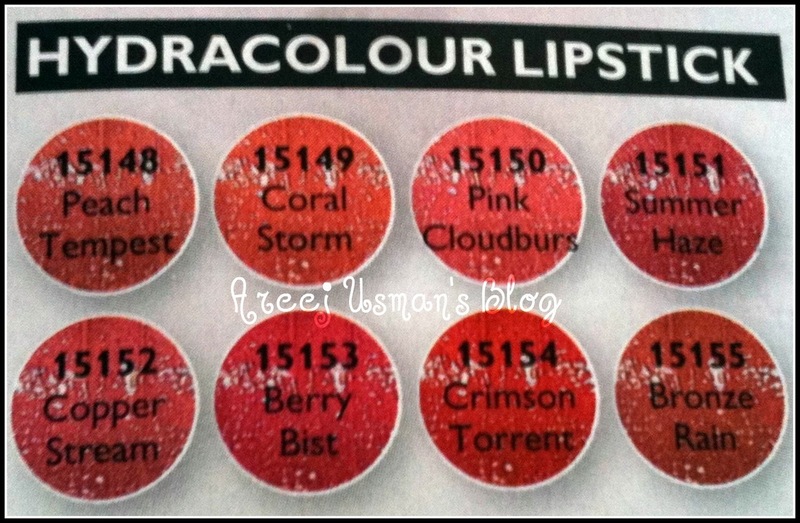 If you are a person who doesnt like heavily made lips and are more into lip glosses and sheer lipsticks then you must try the Hydracolor range.Most of them are everyday wearable colors.As it has 8 beautiful shades to choose from there surely would be one for you.I dont see any cons in it but only one:I wish it had a bit more lasting power.Have u tried any lipsticks by Oriflame? 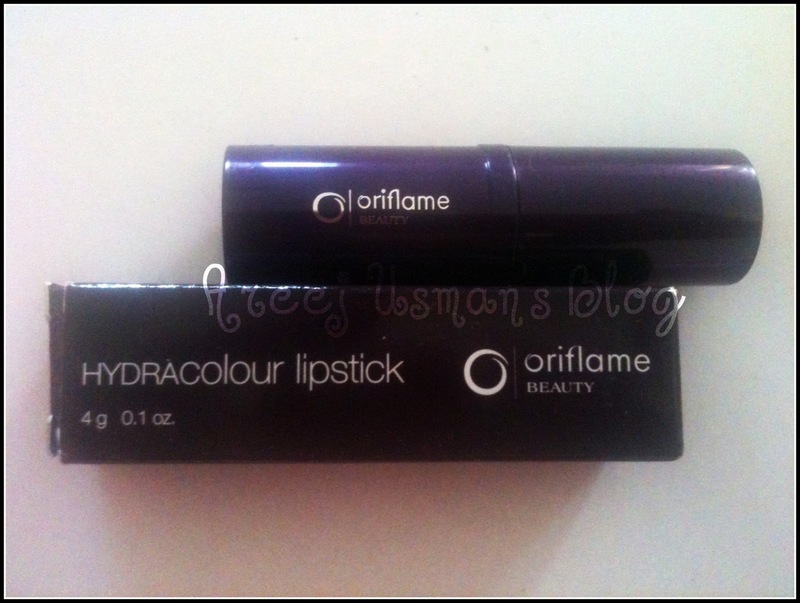 You can order and find more details on Oriflame’s Page on Facebook. Note:This is a PR Sample for review.